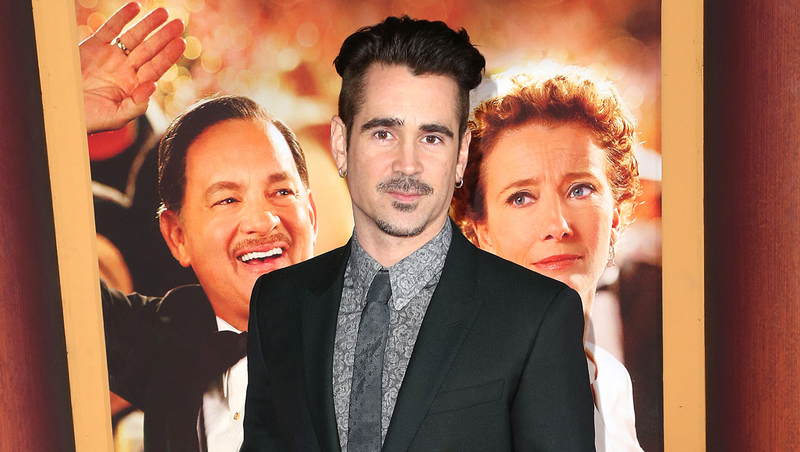 Colin Farrell spoke fondly in a new interview about the friendship he struck up with Hollywood icon Elizabeth Taylor in the years before her death. While appearing on "The Ellen DeGeneres Show" to promote his new film "Saving Mr. Banks," the 37-year-old actor recalled how he met Taylor, who died in 2011 at the age of 79. The two first crossed paths, he said, when Farrell ran into Taylor's manager at a Los Angeles hospital. He was there for the birth of his second child, Henry, while Taylor having a stent put in her heart. "I said, 'Will you tell her I said hello, she probably won't know who I am,'" Farrell told Ellen DeGeneres. "And they go, 'No, she knows who you are,' and I went, 'Wow, cool. Well, tell her I said hello and I wish her the best,' and they said, 'Will do.'" A few days later, he called his publicist to see about sending her some flowers, only to be told that Taylor had already sent him an orchid along with a handwritten note. About a week later, he asked if he could see her. "I got to have an audience with her," he revealed. "That was the beginning of a year and a half or two years of what was a really cool...it was kind of like the last -- it feels like in my head, not her, I'm projecting, but the last kind of romantic relationship I had. Which was never consummated." He also recalled how they would talk on the phone late at night when neither could sleep. "She wasn't much of a sleeper at night, like I'm not, so at two o'clock in the morning, I'd call her," he said. "I'd call her at two in the morning, and the nurse would answer the phone, and I'd say, 'Is she awake? '...And then I'd be on the phone and I'd hear, 'Hello?' And I'd go, 'How's it going?' And we'd talk for a half an hour, an hour, into the wee hours." "I just adored her. She was a spectacular, spectacular woman," he said, joking that he could have become one of the star's many husbands. "I wanted to be [husband] No. 8, but we ran out of road."